Success is its own field of study. Books on the topic go back to the days of the ancients, but when it comes to financial success and wealth accumulation, the earliest one I can think of is Dale Carnegie's, How to win friends and influence people, published in 1936. I have a copy of this book in my library and I can tell you after having read it that its teachings are still very relevant today. Napoleon Hill's, Think and Grow Rich, came only a year later in 1937, and is still a best-seller today. I have a copy of this book in my library as well. I'm a student of modern day success. I've read at least a hundred different titles and learned a tremendous amount of knowledge on the principles of success. I'm sure you have picked up books on success from your favorite authors in an attempt to glean the formula for your own rise from your current level to a higher one. I noticed one thing, the body of work on "success" is primarily written for adults. Yes, there are some titles out there for young adults, i.e., teenagers, but these are just versions of the adult copies that have had sales success. For example, Sean Covey (son of the great, Stephen Covey) authored, The 7 Habits of Highly Effective Teens. Jack Canfield, another one of my favorite success authors, has a teen version of his incredible book, The Success Principles. As a teacher of majority, minority students (I teach in an urban setting), I felt my students were at a disadvantage. They need to be able to see themselves in what they are given to read. The authors of these famous success books are mostly white males. Nothing wrong with this, of course, but let's just say many of my students have a hard time buying-in to the lessons offered within these books. I saw a great need for my students to have a book they can turn to for help becoming successful and productive citizens of our country. So I wrote one. 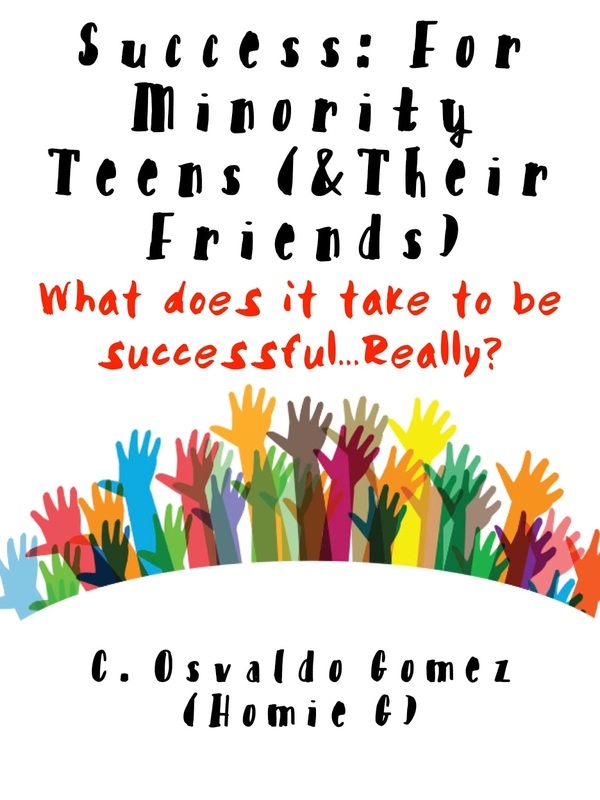 My book's title is, Success: For Minority Teens (& Their Friends), and I poured my heart into this project. The book uses story telling to make connections between the principles of success more memorable. The stories come directly from my life as a pre-teen and teen. Almost every chapter has an exercise students can try at home to work on their bad habits or erroneous mindsets, all of which I know too well, having had thousands of hours of conversations with teens at school. To make the reading easy to digest, each chapter has a short introduction of what to expect, and there's a "Main Points" section at the end of each chapter. 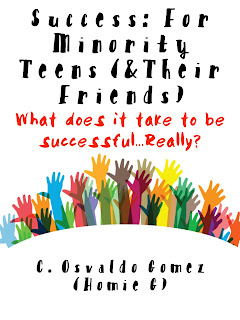 Prior to publication, my book reviewers made it a point to tell me that the book has application for ALL teens. Hence, I revised the title and included, "(& Their Friends)." The public believes that schools in the United States are college preparation factories. Not true. They’re college acceptance factories. Big difference. According to the National Assessment of Educational Progress, also known as the Nation’s Report Card, only about one-third of high school seniors were prepared for college-level coursework in math and reading in 2015. What this means is that 66% of high school seniors have done everything according to plan, keeping great attendance, behavior, and grades but still aren’t college ready. That’s a lot of unprepared kids. I was one of them in the mid ‘90s. I graduated high school with a 3.33 grade point average. I took many honors and even some Advanced Placement classes. I thought I was a big deal when I set foot at San Jose City College until I got my first graded college essay returned to me. I scored a “D” on my first English 101 writing assignment. I couldn’t believe it. Here I thought I was a great writer. My high school English teachers never gave me less than a “B.” This professor had marked up my paper with her red pen. I didn’t even know where to begin looking at it..."
Do you have a son, daughter, niece or nephew who could use a book on success like this? If so, I invite you to please look over the book description at Amazon. Look over the chapter titles. I must inform you that the book also offers advice on both college and career. 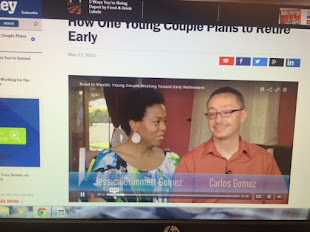 If you read my blog then you know I'm not conventional when it comes to advising people on financial decisions. This book gives it to teens as they need it to be told. I offer no apologies. Until next time! Thanks for the support.